As his failed campaign for the Senate ended Tuesday, former legislator Doug Quelland settled the fine he owed to the state, paying the Attorney General’s office $34,400. In the end, Doug Quelland didn’t spoil Rep. Kimberly Yee’s party. Republican legislative candidates in hotly-contested races have on the whole stockpiled a bigger war chest than Democrats as November approaches, finance reports filed with the Secretary of State show. Former legislator Doug Quelland has failed to pay the thousands of dollars that he owes the state for violating campaign finance laws. Mesa businessman Bob Worsley has far outraised his primary opponent, former Senate President Russell Pearce, taking in about $67,000 in contributions during the first five months of the year. 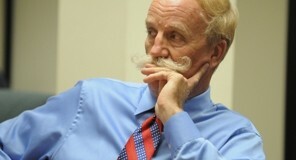 Pearce, meanwhile, collected a mere $2,800 during the same period, according to the latest campaign finance reports. The deadline to file the reports was July 2, and they reflect campaign finances through May 31. Republican Party to go after Quelland? The law aimed at preventing Quelland from running for the Senate this year received Dept of Justice preclearance yesterday (June 28), setting the stage for a lawsuit to force him from the ballot. A former Arizona lawmaker who was forced to resign from office two years ago over campaign finance violations is being investigated in his bid for a state Senate seat. The author of a measure that seeks to prohibit people from running for office if they have outstanding elections-related fines will be asking the U.S. Department of Justice for an expedited review of the bill. The measure, if enacted before the deadline to file candidate paperwork in this year’s elections, would impact former Rep. Doug Quelland, who has refused to pay a $31,000 Clean Elections fine. Senators Feb. 27 unanimously advanced legislation to prevent candidates from running for office if they owe at least $1,000 in fines. As approved, the measure prohibits election officers from accepting the nomination of a person who is facing unpaid fines, penalties, late fees or any administrative or civil judgments. A bill that would prevent candidates from filing to run for office if they owe excessive fines and fees for campaign law violations sailed through a Senate committee, but can’t go into effect in time to stop the one person who fits the description.